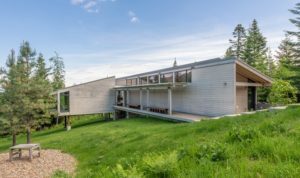 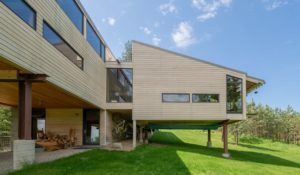 This unique new home is on the cutting edge of the current “Modern Minimalism” Architectural vernacular. 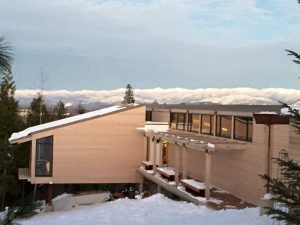 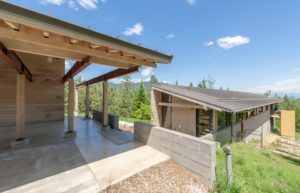 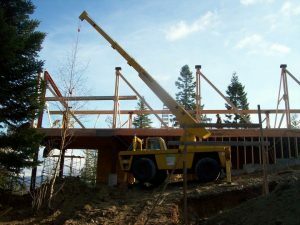 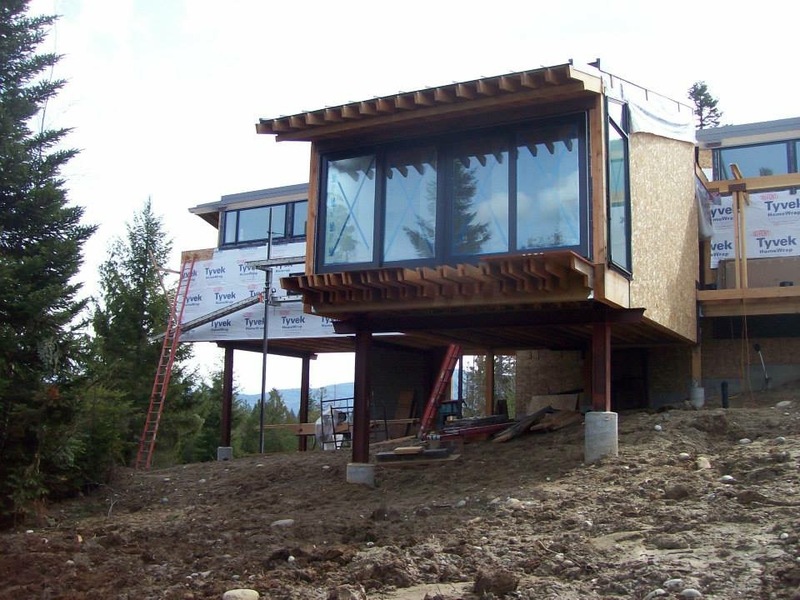 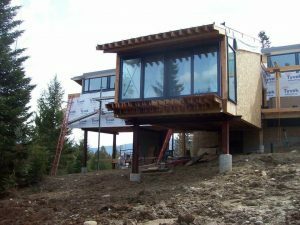 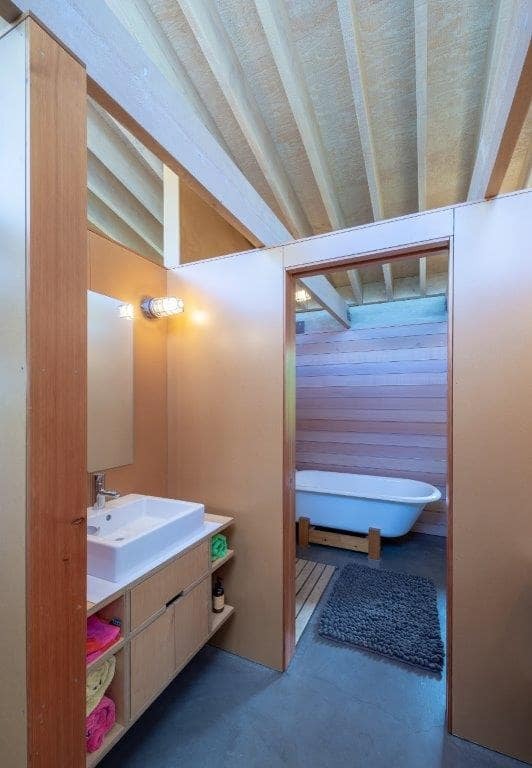 This design trend is sweeping the country, and of the last, some five years has made sound in-roads into the Sandpoint area. 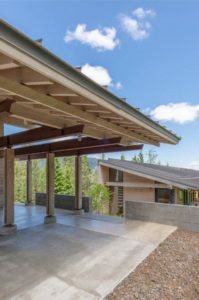 Basic simple rectangular shapes, and intersecting “shed” roofs, with no overhangs, and in combination with large overhanging details, illustrate this concept. Straightforward and clean siding lines, wrap this architecture; creating this new and exciting architectural design. 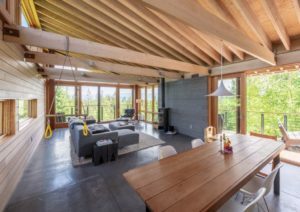 The concept of Modern Minimalism does not translate to “simple”. The forward strong clean lines, with minimal trim and dressings, encourage both the designer and builder; to pursue a bold ethical approach to the “build”. 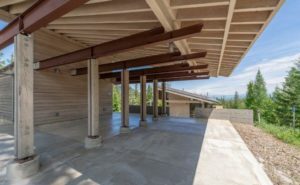 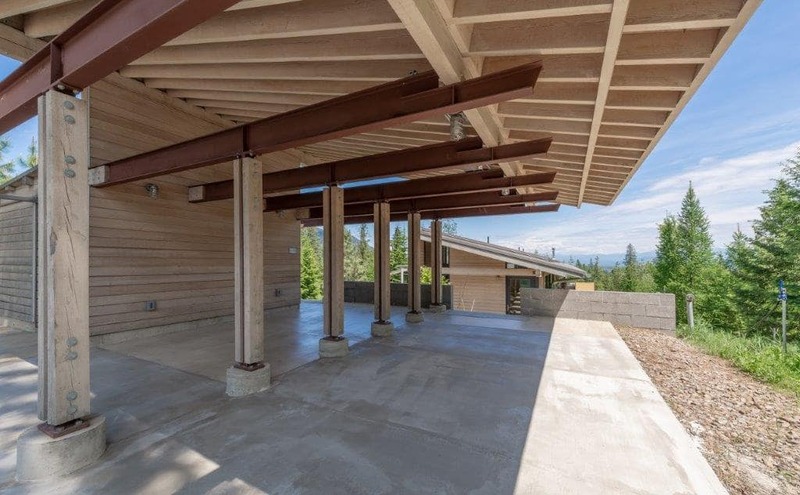 The combination of heated concrete floors, exposed and visible structural steel, both within and on the exterior, are all required to seamlessly interact, structurally and beautifully. 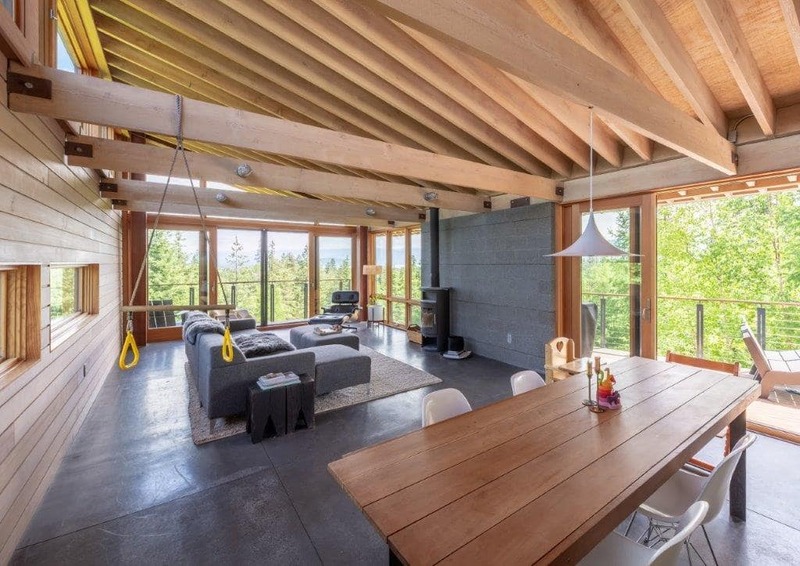 This house has a seven degree, bias angle to the deck, relative to the building’s main body, that transfers into the kitchen cabinet layout, creating a strong yet subtle adjustment to its otherwise geometrical ordination. 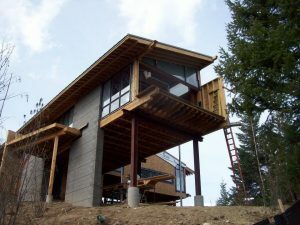 This bold and truly justifiable design approach is very much at the center of the Modern Style. 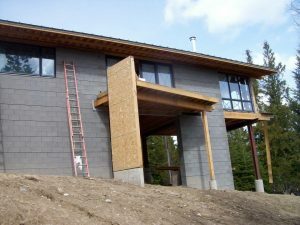 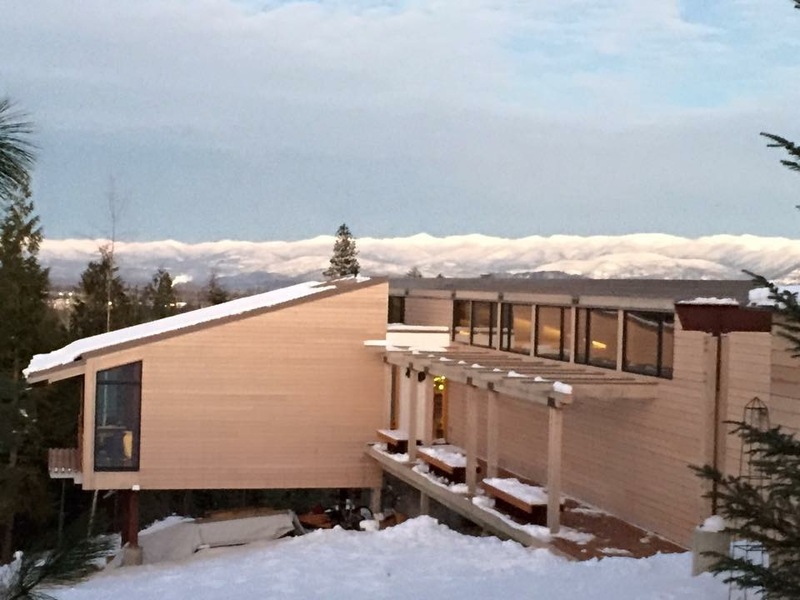 Concrete block exterior, in combination with wood siding, and a standing seam metal roof, create the exterior elevations. 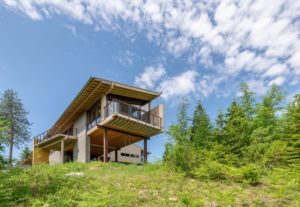 Metal clad-wood windows, interior wood T&G paneling, a custom steel circular staircase, and custom cabinets; are all details following this new fast-tracking architectural design.